Park Forest, IL-(ENEWSPF)- A dawn raid on Washington Street Wednesday netted a stolen firearm, narcotics, and the arrests of two men. 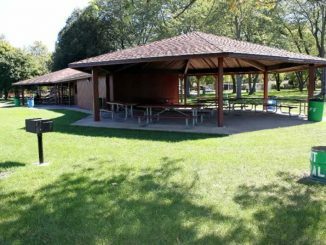 One of the men arrested was a convicted felon who was on ankle monitoring, according to Park Forest Police. 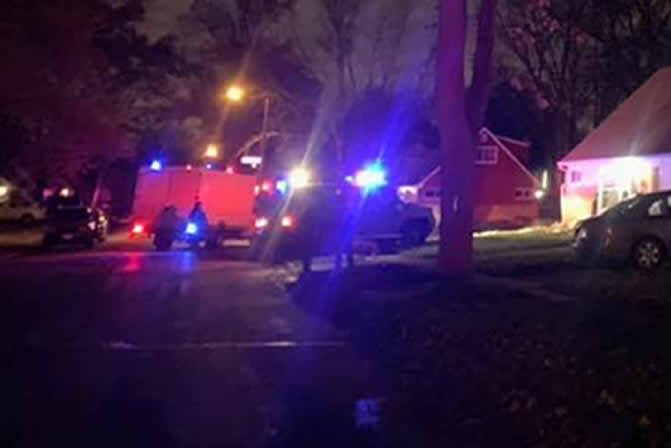 In a statement, police said they executed a search warrant at a home in the 100 block of Washington Street on November 7, 2018, at approximately 5:30 a.m. The South Suburban Emergency Response Team assisted, police said. A search of the home resulted in the recovery of a stolen firearm and narcotics. Following an investigation, one adult man, a convicted felon on electronic monitoring, was charged with unlawful use of a weapon by a felon and possession of a controlled substance. A second man was charged with possession of a controlled substance. 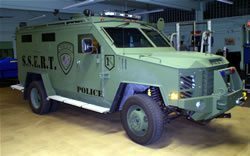 A visit by the South Suburban Emergency Response Team typically involves the deployment of SSERT’s armored vehicle, a formidable tool of law enforcement that was bought for SSERT in 2008 by an anonymous donor at a cost of $250,000. A picture of the dawn raid on Washington Street shows the vehicle in the driveway of the residence. 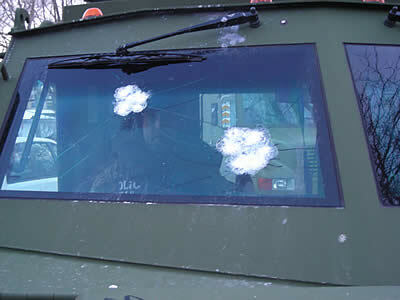 The passenger-side window of the armored vehicle sustained damage in 2011 after a Glenwood man fired at police after an eight-hour armed standoff at his home. Police shot the man after he fired at them, according to reports at the time. SSERT is a special weapons and tactics team trained to undertake assignments typically involving very dangerous and volatile situations. 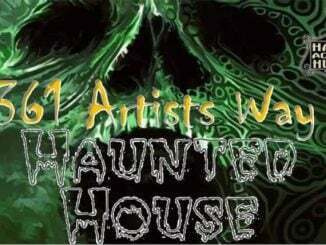 These units are typically referred to as S.W.A.T. teams. 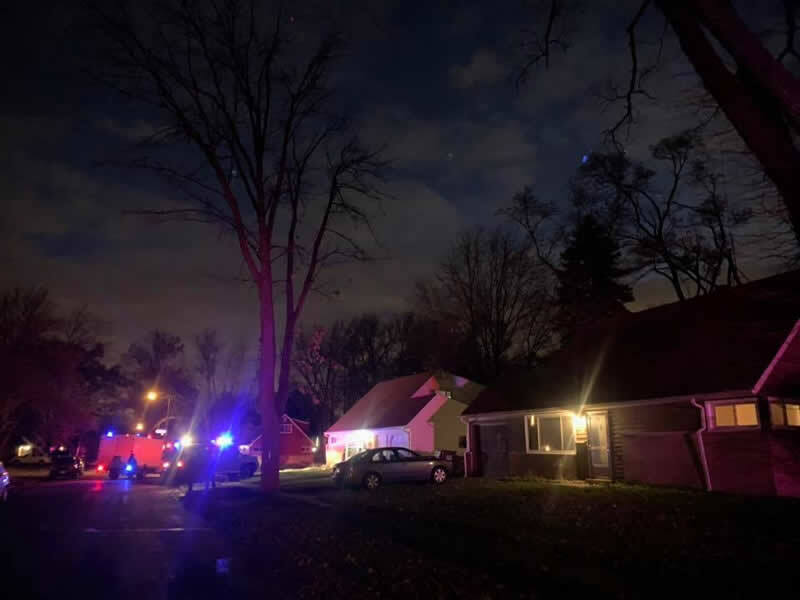 “We will continue investigations into the dangerous and disruptive behavior of those who occupy and frequent these residences until we are confident that criminal behavior impacting their neighbors and community has ceased,” police said.